You landed an interview for your first job, and you think you aced it by providing what seemed to be great answers to the hiring manager’s questions about your qualifications for the position. In addition, you thoroughly described your education and training, plus all the hard and soft skills that you’d bring to the table if they hire you. However, the interviewing process isn’t over. In order to consolidate the good impression you’ve just made, it’s important write a thank-you letter for your entry-level interview. Writing a thank-you note after a job interview isn’t simply a matter of good manners, it’s also an extremely effective marketing tool that will keep your name “top of mind” for a hiring committee while they’re narrowing down their field of candidates. Your letter should do more than simply say “thank you” – it should also provide you with the opportunity to reiterate your interest in the company and remind your interviewer(s) of the unique talents you are offering them. Writing a thank you letter also allows you to resolve any questions that you may have felt weren’t fully addressed during your meeting or if you feel there were any questions you could have answered more thoroughly. During the interview itself, it’s a good idea to take notes about your discussion, including the names of the people who have interviewed you, and the interview questions they asked. If someone asked you a question that you feel you did not answer completely, make a note of his or her name so that you can respond to this more fully in your thank-you note to that particular person (you should write a thank you letter to each interviewer you encountered). Don’t forget to get contact information such as an email or physical address. You can get this information from your interviewer’s business card. But if you forget to grab his or her card, you can email or call the company and ask how to contact him or her. Not sure how to write a good thank you letter? Review a thank-you note example you can send (via email or mail) to the person who has interviewed you for an entry-level position. Be sure to highlight the skills that qualify you for the job in your letter, and enthusiastically restate your interest in the position. You should also double-check to make sure that you have the correct spelling of your interviewers’ names. If you’re unsure about the spelling, check the company’s website or make a quick call to its reception desk and ask. Your thank-you letter needs to be sent as quickly as possible after your interview – this is why an emailed note is ideal. If you are sending an email letter, there is no need to include your return address or your contact's address. List your contact information in your signature. 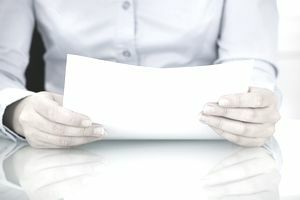 If you decide to send a traditional hard-text letter, either hand-deliver it to the office or make sure that snail-mail will deliver it within two days of the interview. Thank you very much for taking so much time out of your busy schedule to meet with me and show me around your office. After meeting you and the members of your team, I was impressed not only with the congeniality of your office but also with the depth of knowledge and the professionalism you all demonstrated. I believe that I would be an asset on your projects and would welcome the opportunity to learn from all of you. As we discussed during my interview, my internship last year had responsibilities very similar to those required for this position. I am well-versed in meeting challenging project benchmarks and deadlines, and I thrive in situations that require team collaboration, a strong work ethic, and clear-cut communication skills. In regard to our discussion about whether I’d have the flexibility to work overtime or on weekends in order to complete deadline-critical projects, I’d like to assure you that I would be readily available to go this extra mile to contribute to my team’s success. Thank you again for taking the time to speak with me about this position. I believe that this career opportunity is an excellent match for my talents and would truly appreciate the opportunity to work for a forward-thinking and progressive organization like T&J Enterprises. Please let me know if there is any additional information I can provide for you to help in your decision-making process.